A survey conducted by the Organization for Economic Cooperation and Development (OECD) has revealed that middle school teachers from Shanghai are the most qualified in the world. In 2008, the OECD launched the Teaching and Learning International Survey in 24 countries and locations to assess the professional growth, practices and working environment of teachers. Between 2013 and 2015, the second survey was conducted in 38 places, and for the first time, Shanghai joined in January last year. The OECD assessed about 4,000 teachers from Shanghai from 199 randomly selected junior middle schools. The survey, which was released on Thursday, revealed that around 98.5 percent of the polled teachers were holders of a bachelor's degree or higher. The international average is at 92.7 percent. Nearly 98 percent have learned educational methodology and 96 percent have embraced the respective disciplines they are teaching, while global average revealed less than 94 and 90 percent, respectively. 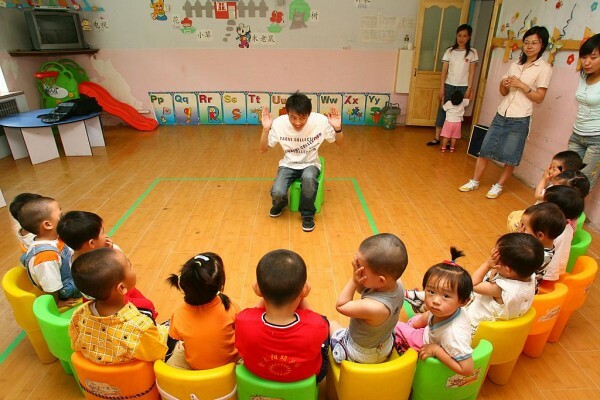 Moreover, over 99 percent of teachers from Shanghai had undergone inductive training upon entering as a new teacher, a pretty significant figure compared with the global average at 80 percent. Shanghai mentors' average age is at 38 years, this is five years younger than that of the international average. In addition, Shanghai instructors undergo an average of 63 days training and professional development, this is twice the global average. In comparison with their foreign counterparts, the survey also found out that school principals instead of focusing more on administration spend more of their time on teaching. The educational system of Shanghai has been deemed as pretty impressive after its students took home the gold medal during the Program for International Student Assessment (PISA) in 2009 and 2012. PISA is a global study by the OECD in both members and non-member countries for 15-year-old students. PISA assesses their scholastic performance in the fields of reading, math and science.